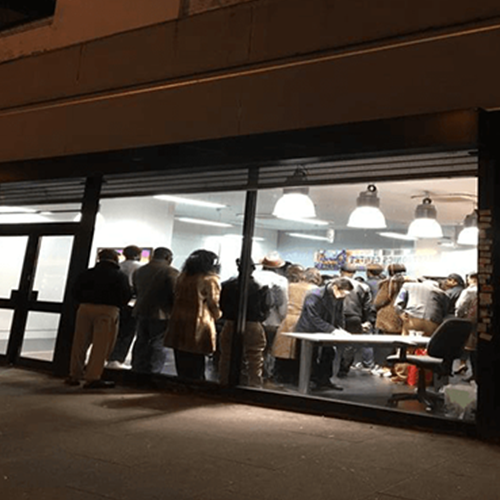 February the 16th saw the much-anticipated launch of arc Gallery’s space. The public excitement about the new occupants’ arrival began prior to the launch and culminated to the evening’s events. 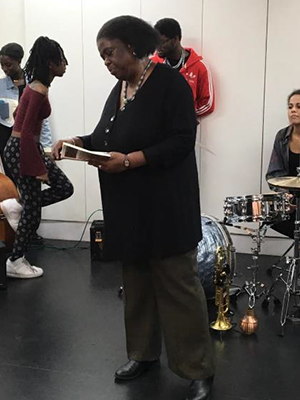 The gallery has years’ of experience in working with local to international artists while integrating programmes of high calibre performers and speakers into their exhibition space. 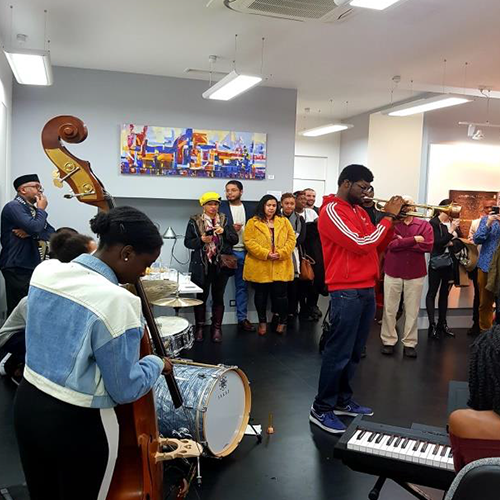 To celebrate its new site in Tottenham, arc Gallery hosted an evening of music and fluent presentations of poetic variations. 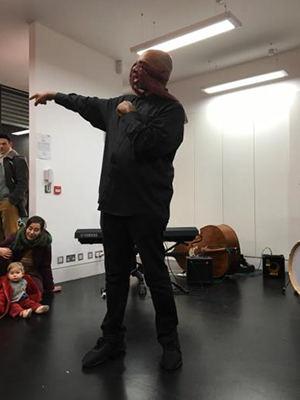 The quality of performances complemented the artwork display, comprising works by contemporary artists; Duke Asidere, Gerry Nnubia, Anthony Okujeni, Lekan Onabanjo, Alex Nwokolo and Michael Echekoba. 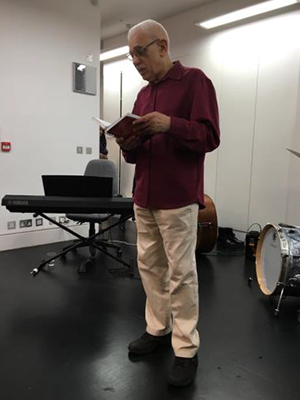 The line up for the evening was a select choice of spoken wordsmiths and the sounds of live jazz: The syncopation and harmonies emanated around the space, welcoming in the audience. Before the doors opened, visitors were, excited; patiently standing outside eager to get in – lured by the music and the art works on show. The minimal white gallery interior was buzzing with art lovers, both invited and passing by, inter-generations from parents to young babies. The young Jazz quartet featured on the night, played a mix of covers by Jazz greats. The audience was mesmerised and were transported from London N17 to the portals of a timeless jazz environment. Other performers included; the insightful HKBFiNN, a literary, visual and musical poet. Alexander D Great, a nationally acclaimed calypsonian/educator, as well as recitals by Jackie Lewis and Wil Joseph-Loewenthal, they shared moments of personal loss, triumph and observations on society, which was well received – uplifting the audience and awaking shared experiences and empathy. “The curating is really good, well presented and stimulating – I love the art work! “This is great.” People are enjoying themselves and they are willing to stay until the end. With such busy lifestyles these days it’s quite rare for people to wait and see what’s next, it only happens when a night is good, if it was not, they would have left”. The quality of fine art and launch line up set the scene for more to come at the arc space. It was a taste of what to expect in the future. 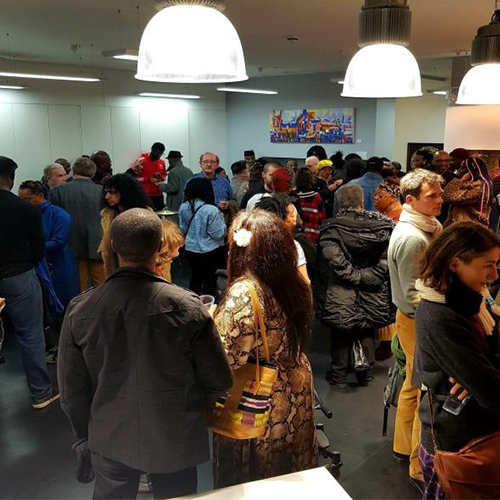 The gallery’s track record in bringing artists and audience together was evident in the warm ambience of that Saturday evening.